Since it's the middle of winter, I've been making a special effort to plan ahead, so I don't go stir crazy while the days are icy and grey. The first step is dressing for the cold. On weekends I live in thin merino jumpers from Uniqlo, a black down jacket, and my pom pom beanie (similar), which is equal parts warm and silly. Then I go outside. On weekends, I've been going on long walks while the sun is out. 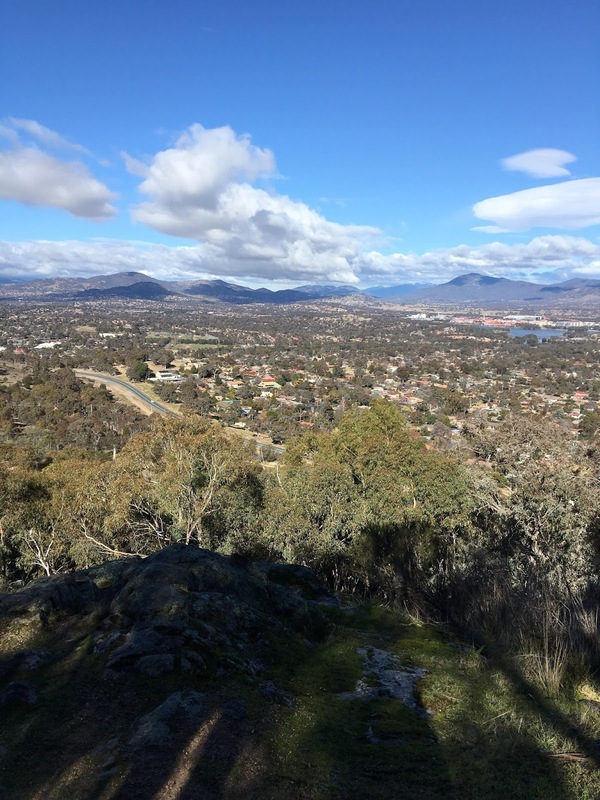 I walked up Mount Taylor on Saturday and listened to this fascinating podcast about the gut with writer and medical student Giulia Endres. It was recorded at the All About Women Festival and you can also watch the presentation and see all of the funny illustrations. After that it was time for a big bowl of food. 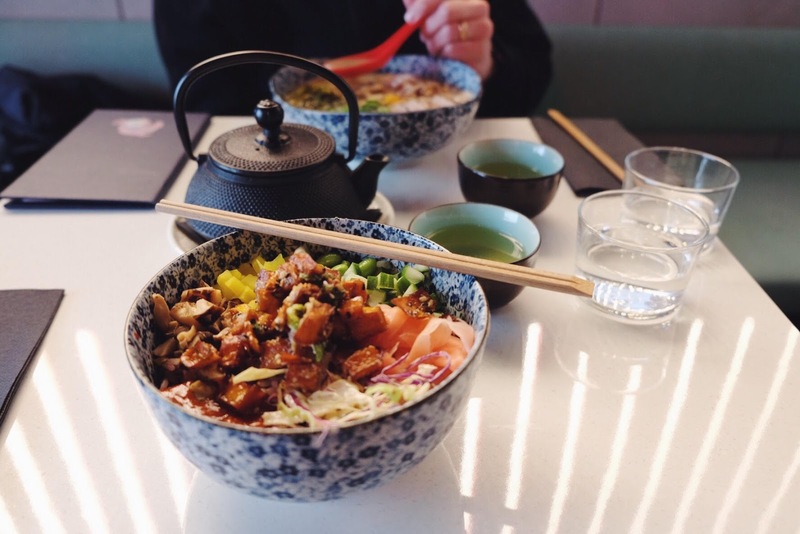 We went out for ramen and miso sweet potato poke bowls at Lazy Su. For weeknight dinners, I am loving Joy the Baker's bowl of food series - the baked eggplant and creamy polenta bowl is next on my list. And finally, a few things to look forward to... Sofia Coppola's remake of The Beguiled comes out on Thursday (check out the trailer for the original!). 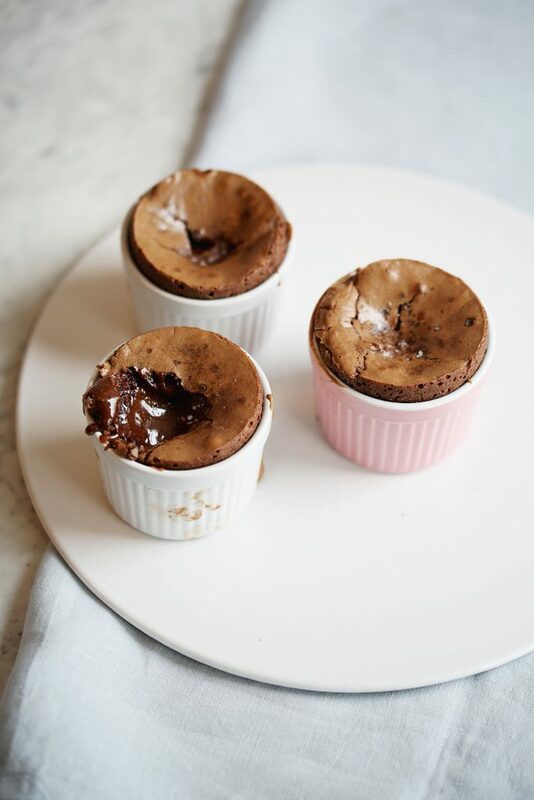 And on my to-bake list are these chocolate fondants with sea salt.